It is incredibly satisfying to see an outdated, run down piece of architecture transformed into a trendy, chic and minimalist space that maximizes space and is as functional as it is stylish. This is exactly what we are going to see today in the form of a renovation by design professionals Moohoi. They took a very unappealing, dingy and sad apartment and turned it into an innovative space that will inspire and delight you today with its ingenuity. Brian Greene once said, The tantalizing discomfort of perplexity is what inspires otherwise ordinary men and women to extraordinary feats of ingenuity and creativity; nothing quite focuses the mind like dissonant details awaiting harmonious resolution. 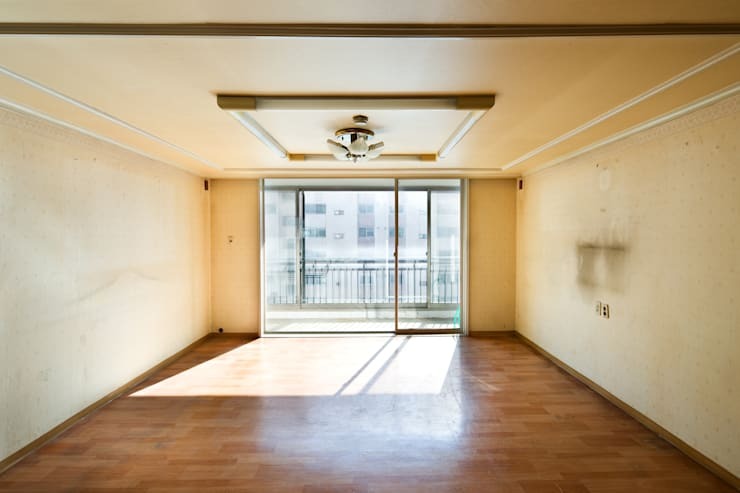 If we look at this apartment before the renovation, we can see how dull and lifeless it was. 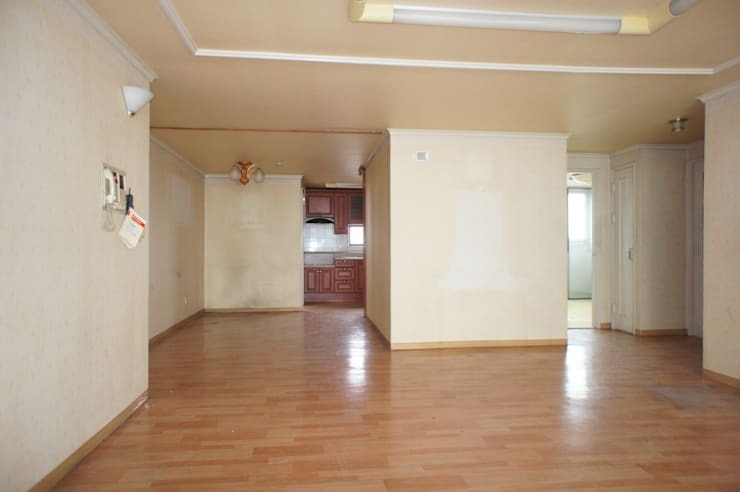 The light wooden floors are alright, but the walls are very faded and bland, doing nothing to enhance this space. The lighting fixtures are also very old-fashioned along with the door and window finishes. There are also wires falling out of the walls! We can see that this apartment holds lots of potential thanks to the natural light that flows into the space via the large glass windows and enclosed balcony. However, the walls are stained and faded, doing nothing to enhance the light that spills into the living space. The finishes look like they come out of granny's house! 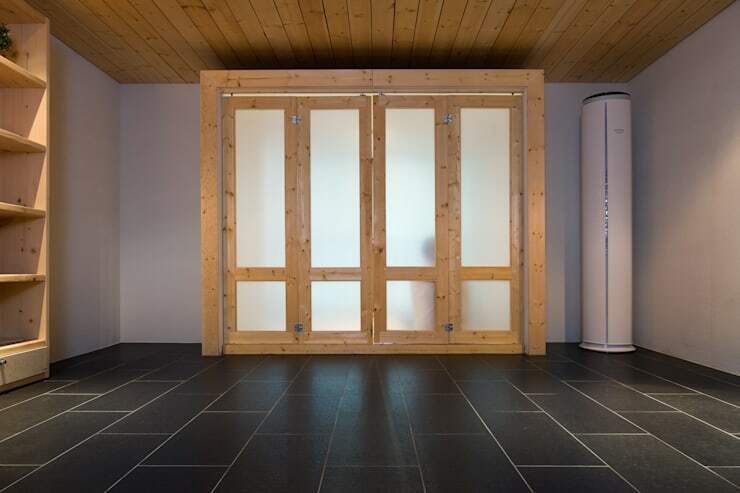 This home hasn't received a breath of fresh air in quite some time. It's in desperate need of some love and care. 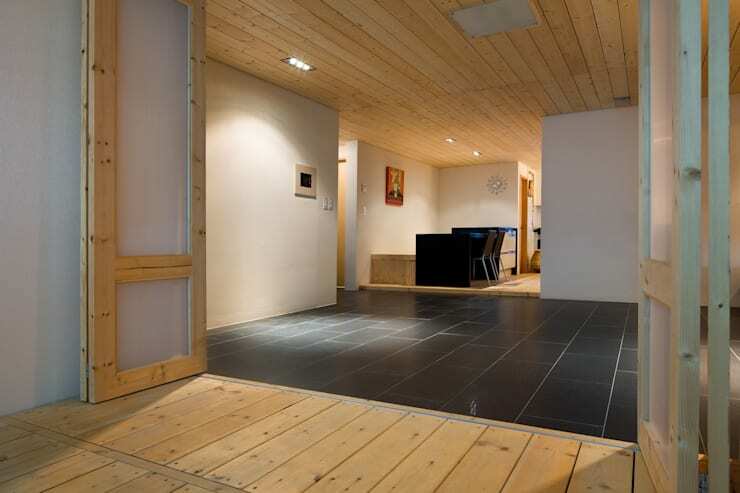 The designers have gone for a very sleek and minimalist look and feel, introducing black tiles, light wooden floors and ceiling and white walls. The colours and materials come together in perfect harmony! Lighting also plays a huge role in this new design. Soft lights have been installed throughout the interior, which illuminate the details of the materials used. We can also see how the open plan design makes this home look very spacious! Have a look at these other: simple ways to make your home feel bigger. The minimalist design lends itself to a very traditional Japanese home. In the study, we come across a screen door that separates it from the rest of the home. This screen isn't completely solid, allowing light to still enter the study. It also brings a gorgeous Japanese element to the environment. The designers have installed shelves along the entire left-side of the wall. This allows books, decor items and other objects to be stored neatly away, while adding character and charm to the study. If we head into the kid's bedroom, we can really see how the designers have played with the space available to them. 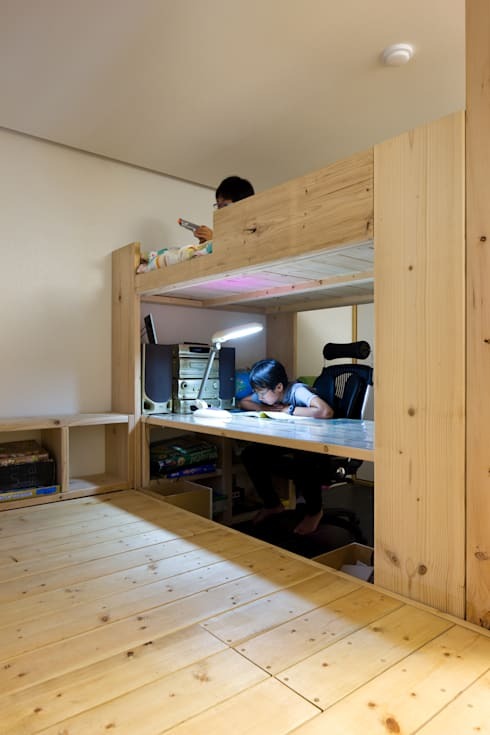 They've used the vertical space in the most innovative way possible, creating shelves and smart storage solutions so that there is plenty of space for the kids to play on the floor. The decor and design is very simple and sophisticated, with the same colours and materials utilized that we've seen throughout the rest of the house. The colour, charm and personality is introduced in the form of the books, toys and decor items on the shelves. 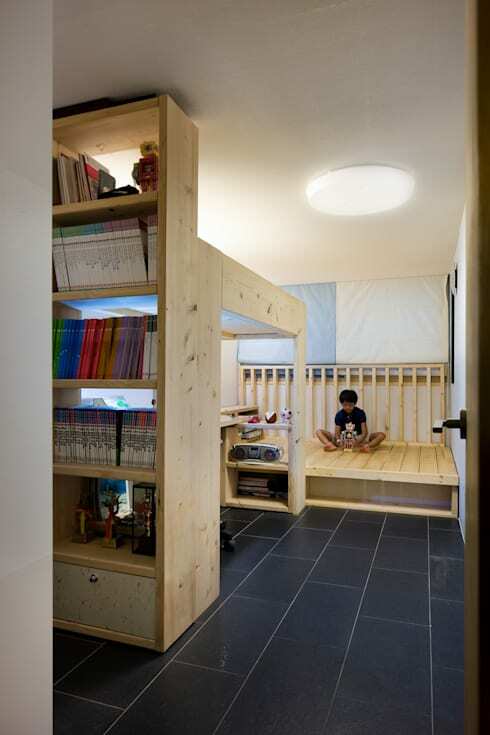 Here we can see how a kid's study desk doubles up as a bed, shelves and a wardrobe. This is a great way to maximise space and is really fun for the kids! Who doesn't love climbing up a bunk bed to go to sleep as a child? This smart and innovative piece of furniture is finished in a light wood, bringing a simple and subtle tone to the space. Lighting is also key to this space. The designers have included lamps and lanterns throughout this space, creating ambiance and atmosphere. We end off our tour in the innovative and spacious kitchen. 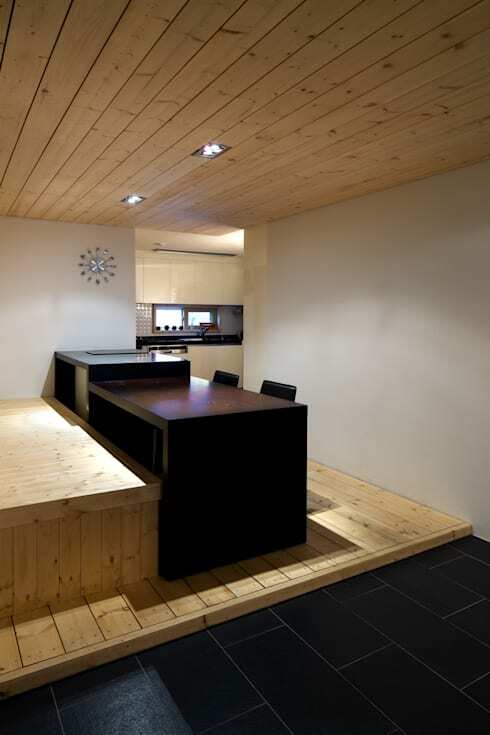 Here we can see how a modern, dark wooden dining space flows into the open plan kitchen. This is the perfect area for the family to share breakfast. Don't you love how it's slightly raised from the rest of the living space, separating it subtly? A clock brings a touch of artwork and function to the home, showing how the designers have truly gone for a minimalist look and feel. The balance between function and style is flawless! If you like this before and after ideabook, you'll love this: secret of minimalist beauty. What do you think of this minimalist look and feel?